Recently, someone asked me about the Aleph and Tav, and in particular, about the appearance of the Aleph Tav in Genesis (Bere’shiyth) 1:1. She asks: Do these represent YAHUSHA? 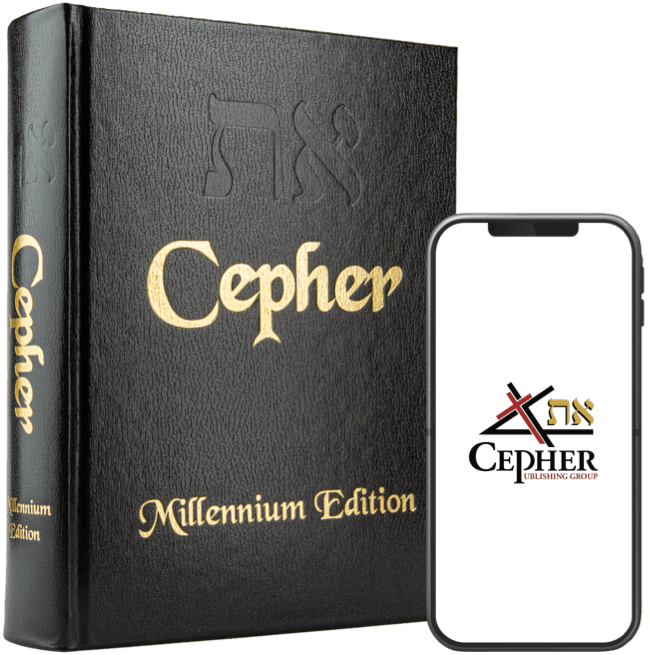 When the Aleph and Tav symbols appear in Scriptures, how do you know if it is representing YAHUSHA or the actual alephbet? Some say the Tav is the symbol of an x and others say it denotes salvation/the cross – so does that mean that in Genesis 1:1 that YAHUSHA’s murder is premeditated? And they had a king over them, which is the angel of the bottomless pit, whose name in the Ivriyt tongue is Abaddon, but in the Yavaniy tongue has his name Apollyon. Both of these verses tell us that this cepher (book) was written initially in Hebrew (Ivriyt) and not in Greek. The interpreters go out of their way in the first instance to give us the Greek alternative, but are unable to give us the Greek alternative for Har Meggido (Armageddon). So, we begin with several assumptions. First, we assume that the Yahuchanon who authored to the Gospel of John (Besorah Yahuchanon) is the same person who authored Chizayon (Revelation). This is an important point which disinformation historians often confuse in order to attack the credibility of the writing. Second, we assume that the writing was originally in Hebrew (Ivriyt) and not Greek, and equally important, not in Aramaic. The language of Aramaic was the language of Syria (Aram), not the language of Judea, where Hebrew (Ivriyt) was spoken. Many interpreters believed that the disciples spoke Aramaic, because the first translations of the gospels appeared in the third century in Aramaic, not Hebrew. Remember, however, that the Romans intentionally sought out and burned every Hebrew text they could find. I am the Aleph א and the Tav ת, the beginning and the ending, says YAHUAH ELOHIYM, who is, and who was, and who is to come, YAHUAH TSEVA’OT. And he that sat upon the throne said, Behold, I make all things new. And he said unto me, Write: for these words are true and faithful. And he said to me: It is done. I am the Aleph א and the Tav ת, the beginning and the end. I will give to those who thirst of the fountainhead of the water of life freely. And, behold, I come quickly; and my reward is with me, to give every man according as his work shall be. I am the Aleph א and the Tav ת, the beginning and the end, the first and the last. In all these instances it is interesting to look at the Greek to see if in fact we find the words Alpha and Omega. ᾿Εγώ εἰμι τὸ Α καὶ τὸ Ω, λέγει Κύριος ὁ Θεός, ὁ ὢν καὶ ὁ ἦν καὶ ὁ ἐρχόμενος, ὁ παντοκράτωρ. καὶ εἶπέ μοι· γέγοναν. ἐγώ τὸ Α καὶ τὸ Ω, ἡ ἀρχὴ καὶ τὸ τέλος. ἐγὼ τῷ διψῶντι δώσω ἐκ τῆς πηγῆς τοῦ ὕδατος τῆς ζωῆς δωρεάν. ἐγὼ τὸ Α καὶ τὸ Ω, ὁ πρῶτος καὶ ὁ ἔσχατος, ἀρχὴ καὶ τέλος. Not that I am expecting anyone to read the Greek, but it is important to note that in each instance, it is the letters Α (alpha) and Ω (omega) that appear, not the words alpha and omega. There is reason therefore to believe that what actually appeared in the original Hebrew were the letters (א) Aleph and (ת) Tav, and not the words. Of course, as Alpha is the first letter of the Greek alphabet, and Omega is the last letter of the Greek alphabet, so Aleph is the first letter of the Hebrew alphabet, and Tav is the last letter of the Hebrew alphabet – the beginning and the end. And they shall take of the blood, and strike twice on the side posts and on the upper door post of the houses, wherein they shall eat it. In Hebrew: Ha’dam natanu al sheniy ha’masuz’oth . . . This is consistent with the instruction to the angel with the inkhorn. And the glory of the ELOHIYM of Yisra’el was gone up from the Keruv, whereupon he was, to the threshold of the house. And he called to the man clothed with linen, which had the writer's inkhorn by his side; 4 And YAHUAH said unto him, Go through the midst of the city, through the midst of Yerushalayim, and set a mark upon the foreheads of the men that sigh and that cry for all the abominations that be done in the midst thereof. In Hebrew: v’ha’tavah tav al metsach’oth ha’enoshiym. To set a mark is ha’tavah in the Hebrew, and the mark is tav. Now, let’s take a look at the Paleo marks again. You see that the aleph holds one more line than the tav. A straight line in the Hebrew, is usually construed as the Hebrew letter Vav (ו). Therefore, the Aleph in the Paleo, is merely a Tav with an additional Vav. The Vav is the nail. Now, we see in the Aleph, the Tav with an outstretched arm. Equally important, in the Aleph Tav, we see two Tavs, one of which is marked with an outstretched arm to become an Aleph. Another way to look at it is two marks, one of which is increased with a Vav. However, it also means that his mark – the Tav – is given, and that in the strength of his headship expressed in the Aleph, he brings his mark with an outstretched arm, and his arm is outstretched still.